Biology alumnus Sam Fleischer, now a Ph.D. student at UC Davis, has published results from his undergraduate research with Associate Professor Casey terHorst in the Journal of Theoretical Biology. 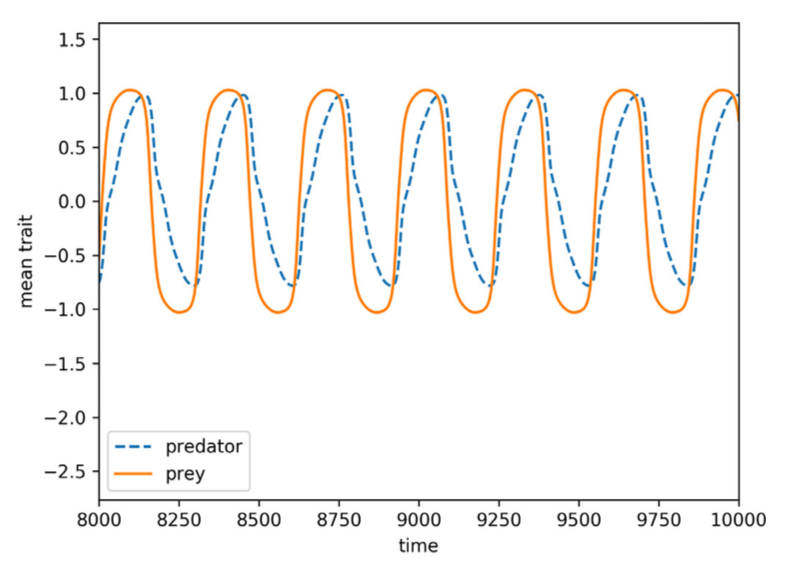 “Pick your trade-offs wisely: Predator-prey eco-evo dynamics are qualitatively different under different trade-offs” examines some fundamental assumptions made in many mathematical models of the coevolution of prey and their predators. Fleischer et al. compared two models that placed different limits on the capacity of a prey species to evolve defense against a predator. In the first, the prey defense came at a cost to reproductive ability, so that better-defended prey had fewer total offspring. In the second, prey defense traded off against the carrying capacity of the prey population, so that the environment supported total fewer well-defended prey than less-defended prey. These different limitations resulted in substantially different outcomes as prey coevolved with their predators — in some cases where one model predicted that both species would find a point of stable coexistence, the other model predicted one or both would go extinct. The full paper is available online from the Journal of Theoretical Biology. Image: Detail of Figure 7 from Fleischer et al. (2018), showing coevolution of prey and predator traits.